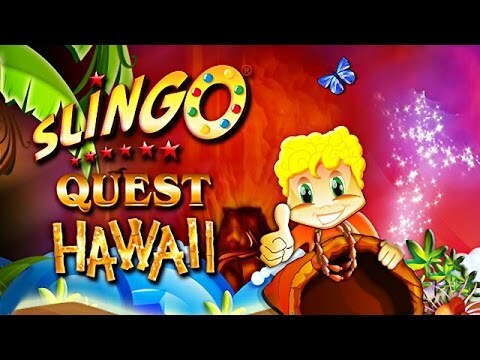 Jet off into the tropical air of the Hawaiian Islands in Slingo Quest Hawaii. You've completed the Quest, now its time for your Slingo vacation. Relax on the beach and try your hand at new tricks like Summon Joker and Pattern Match. Swim over to the Coral Reef and discover Platinum Coins and Tiki Jokers. Hike to the Secret Volcano and take on the Tiki Guy in a game of Volcano Slingo.